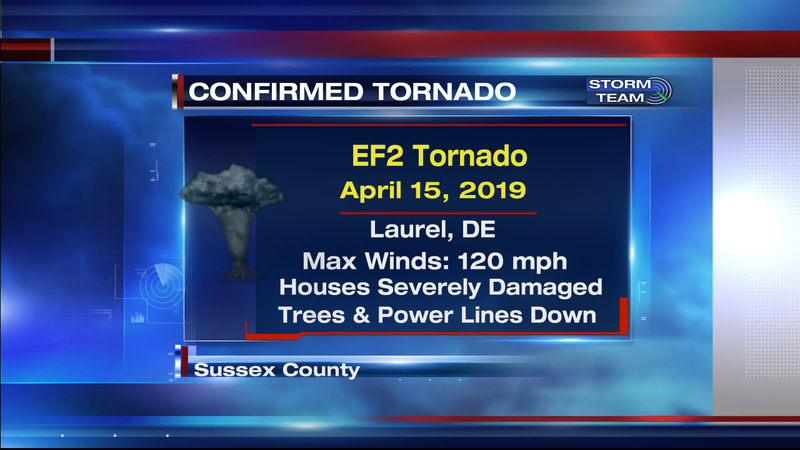 An EF2 tornado hit Laurel, Delaware in the early morning hours of April 15, 2019, making it the strongest tornado to hit Delaware since 2004. The National Weather Service (NWS) surveyed the damage and determined its strength, path, and size. 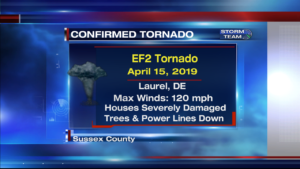 Below is the preliminary report from the NWS in Mount Holly, New Jersey. 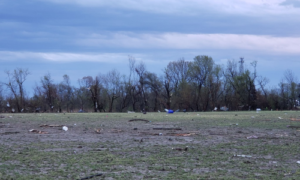 Some of the details may change in the future. 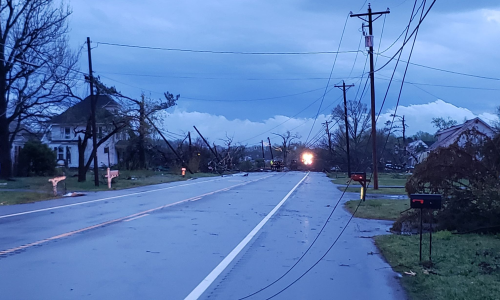 The tornado started on Woodland Ferry road, crossed route 13, and continued northeast towards Seaford where it looks like it lifted back up in the sky, but before it did, it left a path a destruction a little over 6 miles long. Houses were badly damaged, power lines were knocked down, trees pulled from their roots, and flag poles bent in half. 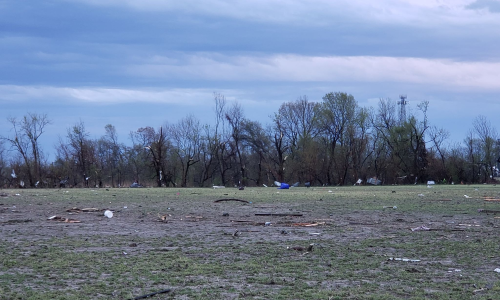 Luckily there were no reports of any deaths, but there was one injury. That person was trapped in their home, then later rescued. 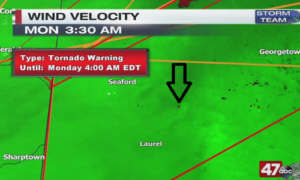 Attached below is a radar image showing wind velocity around 3:30 AM. 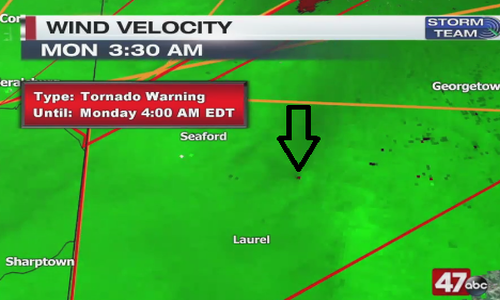 The arrow is pointing to the rotation that was detected as it pushed out of Laurel. It’s a small concentrated area where the green and red colors are touching each other. This is about the time the tornado began to push towards Georgetown before weakening. 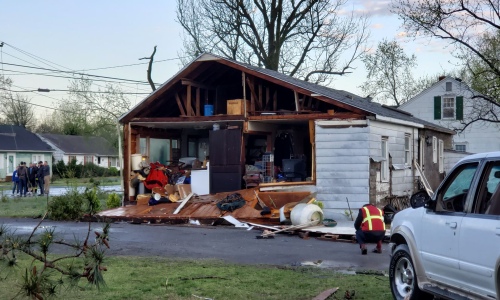 Here are a few pictures of the damage caused by the tornado (Courtesy: Hunter Outten). 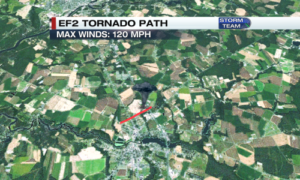 This was the first EF2 tornado on Delmarva since the one that hit Kent Island, MD back in July 2017. 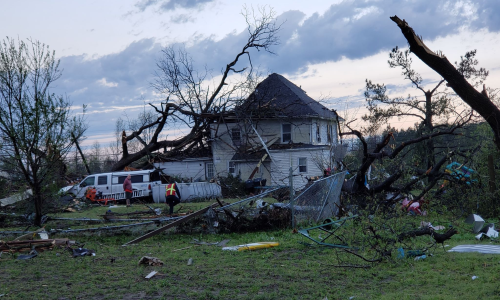 The one that hit Salisbury in August 2017 was an EF1.